Publishing and education giant Pearson PLC said, Thursday, that it plans to buy online charter school operator Connections Education for $400 million in cash. The London-based company said virtual public schools that cater to non-traditional students such as home-schoolers are a large, fast-growing segment of education in the United States. Many of these schools are funded by states and are free to student who attend. Pearson said Connections Education has produced revenue growth of 30% or more for the past three years. The acquisition adds to Pearson’s growing U.S. education holdings. In April, the company announced its plans to buy education technology company Schoolnet for $230 million in cash. 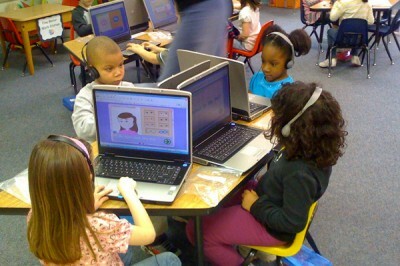 Based in New York, Schoolnet serves more than 5 million U.S. students from pre-kindergarten age through the 12th grade. In July, the company said its international education division led a gain it its first-half operating profit. Its North American education unit also again topped the company’s revenue table. Pearson is the publisher of the Financial Times and Penguin books. The company’s stock rose 51 cents, or 3 percent, to $17.68 in afternoon trading. Virtual schools serve a diverse population of students including those who may be gifted, struggling, pursuing careers in sports or the arts, in need of scheduling flexibility, or who have chosen home schooling. It is a large and rapidly-growing segment in US K-12 education: in 2010, 48 states and Washington, D.C. had virtual school programmes and 27 states allowed virtual charter schools. Approximately 200,000 students attended full-time online courses and an estimated 1.5 million students took one or more courses online. (Source: Keeping Pace with K-12 Online Learning, 2010, Evergreen Education Group). Connections Education has produced revenue growth of more than 30% in each of the past three years and expects to generate revenues of approximately $190m in 2011. Pearson expects the acquisition to enhance adjusted earnings per share from 2012, its first full year, including integration costs, and to generate a return on invested capital above Pearson’s weighted average cost of capital from 2013. The transaction is subject to a Hart-Scott-Rodino review. The challenge for Pearson now is can they manage the “innovator’s dilemma” properly and maintain their leadership in this industry, or will they have acquired a disruptive company only to let the mainstream business take its assets and kill its distinctive processes and priorities. Pearson continues to acquire interesting assets; the challenge is to get the structures and business models right from the acquisitions—something that isn’t easy, but we’re learning more about how to do in smart ways. Pearson appears keenly aware of the opportunity and odds of success at least. Lastly, this should open up more room for education entrepreneurs. First, the exit for Connections—$400 million in cash—is a good one at least in monetary terms, which should encourage more investors to enter the space. Second, as this consolidation now occurs in the space, I suspect this may open up more headroom for some education startups in the near term. 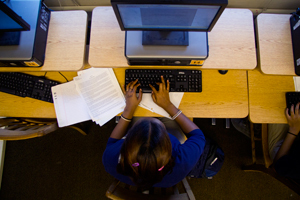 As the education industry continues to consolidate, Education Week pointed out today’s deal made Pearson the first of the “big three” textbook publishers (Houghton Mifflin and McGraw-Hill are the others) to take such a big step into online schooling. Pearson’s stock rose 3 percent following the news, the Associated Press noted. Connections Education is one of the nation’s “two dominant players” in online schooling, along with K12 Inc., according to a 2010 report on for-profit charter school operators, but while it may be an award-winning giant in the growing field its growth in Texas hasn’t gone quite according to plan.